Vladimir Makovich, one of the "founders" of the "DPR" terrorist organization (the self-proclaimed Donetsk People's Republic) died in the city of Donetsk on March 12, according to Novosti Donbassa media outlet referring to one of the former so-called leaders of the "DPR foreign ministry" Boris Borisov. "They write that Makovich has died in Donetsk. This is the person who read out the 'declaration of state independence of the DPR' on April 7, 2014," Borisov wrote on Facebook, Novosti Donbassa reports. Makovich is also known for reading out an appeal to Rinat Akhmetov in May 2014, after the latter described four scenarios for the development of Donbas calling the "DPR" crooks who took the region hostage. Read alsoAnother "LPR" leader aka 'Plastun' reportedly eliminated in DonbasLater, Makovich headed the "supreme council of the DPR" for some time. 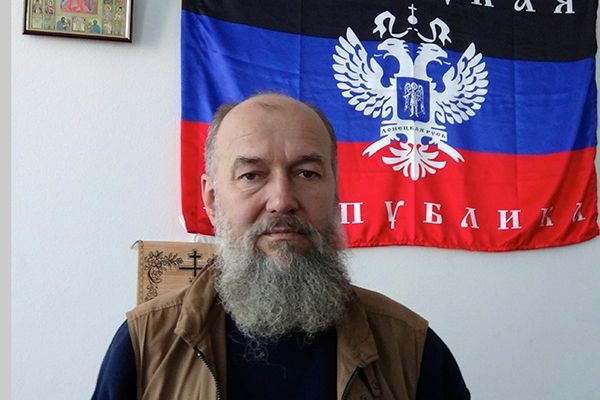 It is worth noting that the militants on February 8 reported that the so-called commander of the "Somali" battalion of the "DPR" Mikhail Tolstykh, nom-de-guerre Givi, had been eliminated in the occupied city of Donetsk. Presumably, he was hit by a shell of the RPO-A Shmel [man-portable rocket launcher], which is used by Russia army.